“Performance leaning utility is a relatively new concept. There’s only been a few players in this space. So as this space develops there could be an opportunity for anyone to capitalize on it, and as long as it meets our internal benchmarks, like the Trackhawk we have today, I think it’s something worth taking a closer look at. At this time, though, (we have) no current plans. 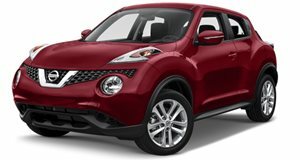 But the Renegade is intriguing, yes.” The “few players” Tallon was referring to is the Nissan Juke Nismo RS and the Mini Cooper Countryman S and JCW. That’s it. The segment is literally wide open for someone to step in again and make a buck or two. Fortunately, Jeep just so happens to be in a prime position to do just that. 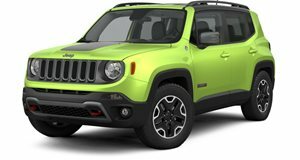 It has the engineering know-how, a variety of engines to choose from, thanks to parent company FCA, and the overall strength of the Jeep brand. Price such an SUV appropriately and you’ve got a potential winner, and maybe even a new segment benchmark. 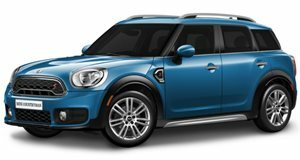 If the Juke Nismo RS and Countryman JCW have 215 hp and 208 hp, respectively, then surely Jeep can find an engine to surpass both. What if it was mechanically and technically possible to stuff the same 3.6-liter V6 with 305 hp that powers the base Dodge Charger and Challenger in the Renegade’s engine bay? You would, wouldn’t you? Big question is who would buy such a crossover? That’s the very question Jeep is probably studying right now.